In the dusty room, the elderly man with the white beard, soft wrinkled skin, and small round glasses sat. It was late afternoon. The warm lighting bounced off the dust floating in the air, casting a brilliant glow around the room. The man sat at the wooden chair that he’d built himself, when he was twenty years younger, and in front of him on the thick oak table he’d also built, was his typewriter. He adjusted the glasses upon his Roman nose. They were sliding down slightly as they frequently did. The air around him was still and silent, and the atmosphere was one of something sacred being about to happen, as though life itself were holding its breath, waiting for the birth of something outstanding. The man took a deep breath. He slowly moved his wrinkled hands over the surface of the typewriter, resting them gently upon its keys. A stack of paper was nearby waiting to replenish the paper in the typewriter when it ran out. The time had come for him to write his story. The story he’d wanted to write his entire life, the story which had been blooming inside him all those years. The story that, for so long, he didn’t feel ready to write. But now, he knew it was time. Time to write these sacred words. Time for this story, these words, to be freed. It beat its wings inside his chest and soul like a caged dove just about to be set free. The words shone brighter than the sunlight illuminating the room, and the man felt as though his soul had been ignited by the most beautiful thing which exists in this world, or any other. Love. He was alight with the ineffable profundity of what he was about to do. Then, this moment of hesitation was over. He let his breath out, and the moment was frozen in silent. There were sparks in his fingertips. It was time for this story to be brought to life. The man gently pressed his finger upon the keys of the typewriter. The words “Chapter 1” appeared on the page, as if by magic. But it wasn’t by Magic; it was Love, and perhaps, they were both the same thing. The rhapsodic sound of the keys clacking filled the otherwise silent room. Had you been there in that moment, you would have only heard this sound, the sound of the man’s breathing, and the deafening music of silence. All you would have smelled would be the scent of old paper, the faint smell of flowers drifting in through the partially open window, and the faint dusty smell of the room. The man held his breath once more. A feeling inside of him, a feeling he couldn’t quite describe, filled him right up and seemed to electrify his very fingers. He felt a sudden thrill, like he was on the verge of something great and it was just the beginning. It was the feeling of something beautiful being born into this world. He typed the first sentence of the story. It was almost as if he were waiting to see what would happen. There once lived a boy who wanted more than anything to be happy. Once there was a girl who lived next door to him and wanted the same thing. The keys once more rang out through the room, and the man paused. The feeling inside him was ineffable, inexpressible, sacred; one of those feelings which, if described or analyzed too closely, loses all meaning. You have to have felt it before to know it. It is the feeling of something Special. The man typed a few more sentences. He heard the faint sounds of children playing out in the streets, and the sound of quiet sirens in the distance. He typed the next sentence, then the next, reveling in the sound of the keys and the way the dust was sparkling in the sunlight where the sunbeams fell through his windows. It was just him, the typewriter, his words, the smell of old paper, and the settling dust of days gone past. The man seemed to caress the keys as he typed, handling them gently, as though he were handling a newborn baby. In a way, he was. To him, his books were like his children. Henry felt a twinge of sorrow inside him upon thinking this. When he was younger, he’d wanted to have a large, happy family. Many years ago, he’d gotten his wish in a way, but it hadn’t turned out the way he thought it would. For a brief time, he’d had a son, and the beautiful, evanescent Emily. He paused in his typing, his mind filling with thoughts of dear Emily. A bird landed on a tree near his window and sang, sweet notes of music drifting up into the sky and touching the clouds. Henry could still see Emily, wearing her floor-length white gown and high heeled shoes, walking through the party and smiling at him. She wore a strand of pearls around her neck, and pearl earrings shone from her earlobes. Her light hair was drawn up into a bun, and her blue eyes sparkled at Henry Walden, the man who now sat in this room and reflected. She had approached him, making small talk about the party, and he’d replied. He was almost made speechless by Emily’s beauty, her grace, and her kindness. It was everything he’d ever wanted in a woman, and much more. Yet, he didn’t feel like it was really happening. He felt like it couldn’t be happening. This beautiful woman couldn’t be coyly flirting with him. He didn’t feel like he deserved someone like her, and yet she was still speaking to him and smiling at him as though this conversation really meant something to her. He was just an author trying to make it in the world, and she was a popular socialite. But yet, despite all odds, she was speaking to him. And as she was speaking to him, he was falling deeply, deeply in love with her. They spoke for over an hour; eventually, it became time for Emily to go back home. Before departing, she gave Henry her phone number and told him to please call. The next day, Henry called her, and they arranged a date at a local restaurant. Over the next few months, the two of them fell very much in love with each other. Emily’s rich parents didn’t approve of him. “Marry someone equal to you, not that author that no one ever reads.” Her parents told her. But she did not listen. For she loved Henry truly and completely, with all her heart. The day Henry asked if she would marry him was the happiest day in Emily’s life. Henry remembered walking down the aisle with Emily, remembered seeing the look in her eyes, sparkling with tears, as she thought of the new and beautiful life that they would have together. She looked at him with an expression of utter love, and she had never looked more beautiful to Henry than she did in that moment. When they said their vows and kissed, neither of them had ever experienced a greater joy than that. Henry and Emily spent several happy years together. They had a child, a little boy named Jeremy. Seven pounds, three ounces. Blonde hair just like his mother. Large blue eyes to see the world with. Henry ended up becoming a lawyer and got a good job. He put away his dream of being a writer, at least for a little while. Henry now had a family to support; he could no longer focus on his childish dream, could no longer believe that he, of all people, could become an author. The law firm paid him well, and with this money, he bought a large house in the suburbs for his family. Every morning, Henry would wake up and go to work. Every evening, he’d spend happy hours listening to the radio with his family. Friends frequently came over and dined with them, and every Sunday, Henry and his family would go to church. The American dream, personified. Everything seemed to go perfectly for them, and their friends always commented on their good fortune, or questioned how they managed to stay so happy after six years of marriage. To this, they would just smile and look at each other, appearing to their friends as the perfect loving couple. But behind the scenes, things weren’t as pretty as they looked from the outside. Henry was an alcoholic. In their sixth year of marriage, he developed this habit. In his mind, this was due to Emily, who constantly got on his case and complained to him, or perhaps it was because he’d lost too many cases at the law firm recently. He sought solace in his drinking. It was the only thing that provided him relief from the stress of his everyday life. After work, he’d come home and immediately rush towards the cupboard where he kept his liquor. He would proceed to drink himself into a stupor. Some nights, he would still listen to the radio with his family, but he’d do so drunk. He’d get angry at his family and shout at them, sometimes knocking over a chair in his rage. Emily was not the woman she’d been when he’d met her, or at least who she appeared to be then. She was self-centered, manipulating, and nagged on Henry as if there were no tomorrow. All of this caused Henry to delve deeper into drink, just so that he could drown his life out. Finally, Emily couldn’t take this any longer and divorced him, taking Jeremy with her and moving in with her parents. They welcomed her back with open arms, telling her they never thought Henry was right for her, and that she never should have married him. Henry was left all alone in the big house, all alone with his drink and the anguished memories of what his family once had been. The radio in the corner of the living room remained there to remind him of what he had lost. Not able to take it anymore, Henry sold the house and moved to a small house on the other side of town, and he had lived there ever since then, for the past forty years. For forty years, he’d spent a majority of his time in the dusty room that he sat in now. As for Emily and Jeremy, he never knew what happened to them. They never contacted him again, and despite his efforts to get back in contact with them, he never could reach them. Had he been able to contact them, he would have learned that Emily had remarried the man who she had known in high school, and that Jeremy, only five when Emily left Henry, had come to hate his father, mostly on his mother’s accord. Jeremy had few memories of his father, and most of the things he remembered regarded his father being drunk. Because of this, Jeremy had no wish to see him ever again. Had Henry been able to find his family again, he would have also learned that Jeremy had a son of his own, a son who was now almost twenty. Henry took a deep breath and went back to the story he was writing, and as he did, he asked himself exactly what he wanted this story to be like. He was no stranger to pain; many times in his life, pain had been the only thing he was capable of feeling. Pain had been his sole companion during many lonesome nights. Pain had been a leading theme in his life, but all the same, he didn’t want this story to be a sad one. The was The Story. The Story that he’d had inside him for all his life, a story born from his own experiences, a story born deep down inside of his soul. He was getting old and he wanted to get this story written before it was too late. Henry was well aware that this may be his last book. Because of this, he needed to make it special, to make it better, and more importantly, even more honest than anything he’d ever written before.. This book was literally a blank canvas waiting to be created. How the story ended was entirely up to him. While he hadn’t been able to influence his life to be exactly as he’d wanted it to be, he could influence this story. He could live out his dreams within this story, and finally face the sorrows and mistakes he’d made. With this story, he could finally make things right. He typed faster, deciding upon the themes this book would contain. He wanted to make it a book for everyone, wanted to inspire others in a way he himself had never been inspired. He despised the fact that he still lived in this rundown shack, that he’d never been able to let go of the past. But yet, he was at peace with himself. After all he’d been through, he was finally happy. He had survived through everything he’d lost. He’d found the strength to give up drinking forever. He’d fought through things that would destroy many people. He wanted others to know that life goes on, that there’s always hope, that if you keep trying and never give up, things can be okay in the end. That despite all odds, despite all the pain you might feel, you can be happy. He had made many mistakes in his life. Things hadn’t worked out fine for him, but yet, he wanted things to work out fine for others. If he could not give his own child love, maybe he could inspire someone else to have love for their child. If he could not change his life, maybe his words could inspire someone to change theirs. If he could inspire just one person with this book, maybe his life wouldn’t be a complete waste. If just one person was inspired by this story, then it would be more than worth writing, and Henry would have accomplished more than he could have dreamed of. He wanted this book to be radiant. He wanted his words to be a friend for the friendless, and hope for the hopeless. The room was now growing dark. Henry tugged the chain hanging down from the ceiling to turn on the single dangling light bulb and illuminate the words upon the page. He pushed his glasses up on his nose and continued typing. What did he want this book to be about? Henry typed quickly, filling the book with everything he could think of. Love, great soaring love. Love that lasted forever. And pain. Pain, pain that tore you apart and ripped your very soul from you. Then healing. Healing, like cool water washing over your skin after you’ve been out in the hot sun, like a drink of water given to someone who has been in the desert dying of thirst. Adventure, the kind of adventure that Henry had never had. And Hope. Lots of Hope. Hope that things could get better, that things could and would be okay, that somehow and someway, there was good in the world, and that there was always way out. Hope that there was a way to find what you needed at the time when you needed it most. Henry thought back upon his struggle with drink. After Emily left, he drowned himself even further in it. Drowned himself so far into it that he thought he might never make his way out. Drowned himself in it so far that he didn’t want to find a way out. He just wanted it all to end. One day though, he realized he couldn’t do this anymore. He simply could not. He didn’t know why he could no longer do it, but he just couldn’t. If he didn’t change something, he wouldn’t be able to stop himself from drowning much longer. If he didn’t change, he was going to end up killing himself sooner or later. There was just no more hope. But he was wrong in thinking that hope no longer existed. For it was in his darkest hour that it suddenly dawned upon him that things could change, that things didn’t have to be this dark. It was in that moment he realized he could keep going, and so, he opened the curtains and finally felt sunlight, really felt it on his skin, for the first time in years. He believed in himself once more. But he couldn’t do this alone, so Henry sought help. He went in for treatment for his alcoholism and emerged a changed man. Sometimes, he’d felt the urge to go back to drink. Sometimes, when things seemed their bleakest and darkest, he’d almost reach for the bottle at the store, almost place it in his cart and purchase it. But when he thought about the moment when he decided to win over his addiction, he’d put the bottle back on the shelf and leave it there, hurrying back home without any alcohol, thankful that he’d decided not to buy it. This book was a story of Everything and Everyone, but underneath of all that, it was the story of Henry Walden. Within each word, within each metaphor and letter upon the page, Henry was undeniably woven into the threads which the book consisted of. The book became him, and in each word, he left a little bit of himself behind. This story was Henry’s hope for the world. It was Henry’s message, the message that he wished he could have heard during those dark times. And now, he was sharing it with the world. After all he’d been through, it was his dream that someday he could inspire others. It was his dream that someday, he’d be able to inspire others in the way that he always wished someone would have inspired him in. It was his dream that he could do something which would matter. He’d been an avid reader his entire life. This, he figured, had started prior to his birth, when his parents had decided upon the name Henry Walden, in honor of Henry David Thoreau’s Walden. As a child, Henry grew up in a house full of books, and every day after dinner his parents would read to him and his siblings. He had three brothers and two sisters, none of which were alive now. He’d tried being an author after he graduated from high school, every day writing on the typewriter in his room. He’d held this dream for many years, until his marriage to Emily and the birth of Jeremy forced him to seek more reliable employment. Henry had also stopped reading around the time he married. He didn’t think much of it for several years, and it wasn’t for quite a while that he realized just how much he missed it. Henry remembered the first time he’d picked up a book after Emily left. It was around six months after the day she’d moved out and taken Jeremy with her. Henry had found himself deeply tired of life, found that his life had no meaning any longer. His drink, which had once been his companion, his technique to drown out everything he could not change, was quickly becoming his enemy, and he hated it. This was his darkest hour. This was the hour when everything changed. In the middle of the night, he had been lying in bed. Henry was already reasonably drunk, and was about to drink even more. Maybe this time, he wouldn’t wake up the next day. When he reached for his bottle of liquor, his hand knocked it to the floor, and he bent over to pick it up. He’d reached around on the floor seeking the vodka bottle, and his hand suddenly touched the cover of the book he’d put under his bed years ago. Henry picked up the book, caressing its cover. He suddenly felt a spark of excitement, something he hadn’t felt in many, many years. Having nothing better to do, he picked up the book and began reading it. At least it would take his mind off his pain. From the first sentence onwards, he was transported to a world he hadn’t remembered existed, and here, he found the solace he had craved. It filled and consumed him, fulfilling him as drink had stopped doing long ago. It was the most comforting thing that he’d ever known. Henry read the entire book that night. Shortly after the sun rose the next day, he shut the book, feeling ineffably inspired. It was at that moment that he decided he wanted to be happy, that he wanted to heal. He wanted to heal so that he could become an author. He had nothing but a dream and a little hope, but that was enough. After he overcame his alcoholism, he wrote many books, some reasonably successful, others not. He’d wrote about many things – love stories, mysteries, dramas – but he never wrote The Book. The Book was the story he had wanted to write the day he decided to heal. He’d procrastinated writing it, making some excuse or another, thinking that when he was older, he’d know everything he wanted to say. But now he was finally ready. Henry was alone in the world, and when you’re alone, books can be your greatest friends. He’d learned this long ago in his room that day, the day that changed everything. Through his treatment for his alcoholism, he read many books, books from his childhood, new books, old classics. He read everything he could get his hands on, because he was now certain that Books had and always would be there for him. When the whole world seemed to have abandoned him, leaving him all alone to die upon the roadside, Books had been there. When he was trying his best to heal, books had been there. When he wanted nothing more than to disappear forever, or was overtaken by a storm of anger and regret and sorrow, or when he experienced his highest highs and greatest joys, Books had been there for him. And they always would be. He felt that, by writing The Book, he was repaying the literary world for everything that it had given him. This book was his homage, his most heartfelt thank you, to the friends that had been there when no one else had. Henry typed away, his fingers flying like lightning over the keys. When he finally became too exhausted to continue typing, he crawled into bed and fell asleep. The next morning when he awoke, he had a quick breakfast and began typing as soon as he could, as if his writing were the oxygen that he needed to survive. We may reasonably say that, during the period of writing this book, Henry literally lived and breathed writing. He was finally facing everything that had happened in his life. He was finally facing himself. All his anger, all his sorrow, all his joy, all his hopes and dreams – he was taking them from where he’d buried them inside his soul, and he was releasing them onto the pages like caged doves being released into the sky. He wrote with a fervor and joy that he’d almost forgotten existed. He wrote with the great hope that he could give back to the books that had been there for him. He wrote endlessly, The Book becoming his own personal message to the world that no matter what happens, no matter how much joy or sadness you experience that there is always hope. Henry wrote on and on, filling the pages. 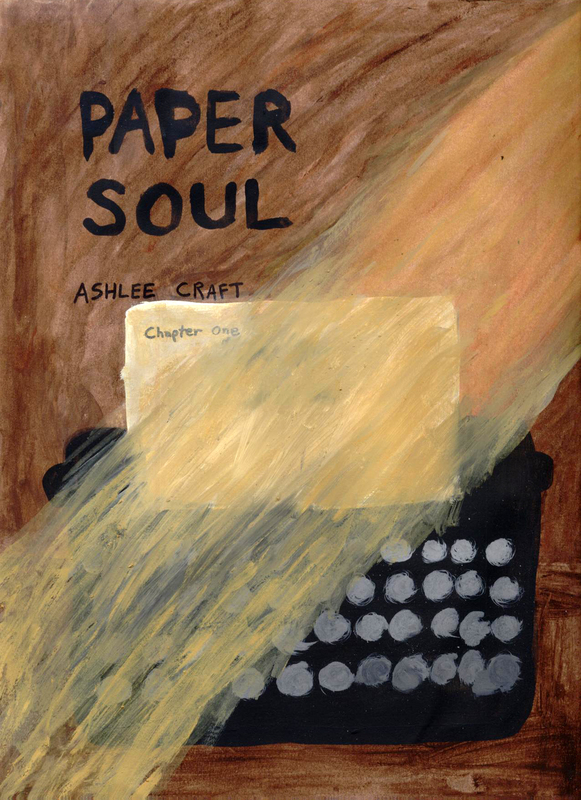 When he finished the pages, he stacked them next to his typewriter. Every day he followed this same routine of waking and writing and sleeping. And finally, the magical day arrived when The Book was finished. The birth of something wonderful beyond measure had come to its close, and The Book had been brought to life. Henry sat in stunned silence one afternoon, three weeks after he began. The lighting was much the same as it had been when he’d begun. The dust in the air was once more illuminated by the afternoon sunlight, and the world was once more silent, holding its breath in expectation. Henry was typing the last page of The Book. The characters’ stories had come together, all loose ends had been tied, and the characters had finally found what they were looking for. The characters were finally happy. Henry spaced down two spaces. Time around him seemed to pause. The world was waiting for him. The Book was almost complete. He was almost hesitant to write the final words. For when he wrote them, this story would be finished. What more would there be for him after this, after The Book was published? He did not know, but whatever happened next, he knew he would not be afraid of it. It was time for the story to come to a close. It was time to stop looking back and start looking forward. Henry took a deep breath and wrote the final words. Time seemed to stop there as those words were recorded. The dust seemed to pause where it was in the air, and Henry sat staring at those two significant words for some time, experiencing the joys and sorrows of his past once more. Experiencing The Book. Finally, he looked away, breathed deeply, gently took the final page from the typewriter, and placed it on top the stack of paper next to his typewriter. He felt a great sense of closure, and a greater joy than he’d ever known before in his life. Henry finally felt at peace with himself. His message to the world had been recorded, and The Book, his Dream, had come to life. He suddenly found himself thinking of Emily and Jeremy once more, but he now felt a sense of happiness, rather than the stabbing pains of regret, when he thought of them. He now saw them in a new light, one that was filled with acceptance. He couldn’t fix what had happened. He could do nothing to change it, not then, not now. But even without them, he had found peace. Henry had done what she said he could never do. He felt pleased at this, even though he’d forgiven Emily years ago. But there was still a sense of winning in the fact that he had proven her stabbing, hateful words wrong. Forty years later, he was still here, alive and reasonably healthy. But most importantly, he had become Something. What had Emily become? Often times, he wondered what her life had been like. Had she been happy after she left him? Did she sit there regretting her decision to leave him, or was it the best thing she ever did? Did Jeremy regret that he’d never really got to know his father? If Emily was still alive, did she still wonder about him? Had she ever read any of his books? What would she think if she read them? Would she be inspired? Did she still love him, deep down inside? Did she ever wish things could be different? Henry shook the questions from his head. He once more felt the peace that everything had worked out fine for him, and that if he his life had been any different, he would not have been able to create the ineffably beautiful Book. A while later, Henry yawned, suddenly feeling sleepy. Now that The Book was finished, he could make up for the sleep that he lost due to his fervor in writing. The next day, he planned on taking his manuscript to his publisher, where it would be edited and published soon. Henry climbed into bed, a content smile upon his face. The Book sat there on the table. The room was now dark and moonlight streamed in through the window. The air was slightly cool, as it was spring. The smell of flowers outside the window still filled the air. The sound of Henry’s quiet breathing and of cars in the street filled the background with a serene music. The Book felt a sense of awakening, gradually coming to her senses and becoming aware of more and more things that were around her. At first, she was only aware of the silence and the sound of Henry’s breathing, but soon, she became aware of what she could see. The Book looked around at the room and saw Henry’s sleeping form in his bed. So that’s what that Sound is. She thought to herself. She felt Surprised. What did Surprised even feel like? It was sort of a happy, thrilled feeling. But what did those things feel like? Even though she didn’t know what she was feeling, she was Surprised. It sounded like the right word. The characters inside her often felt Surprised when something especially wonderful happened to them, and The Book thought that experiencing her first thought was a big Surprise and that it was something wonderful. The next thing that occurred to her was that the…thing – a Person – that was laying over there making that sound, he was the one who’d created her and brought her to life. She was suddenly aware that she was aware, that she was alive and could think and feel. She was suddenly aware that she was Something. This thought filled her with incredible joy. How amazing it felt to be New and Aware and Alive! Not every book can come to life. Whether or not they are able to is completely dependent on whether their creator gave them a Soul when they wrote them. Some books lacked Soul. They missed that very important element, and therefore, sat silently on shelves, unaware of their existence or surroundings. But The Book was special. Henry had poured every bit of his energy, his memories, his dreams, and most importantly, all of his Love, into writing the story contained within her pages, and even though The Book was just becoming aware of her existence, she felt that there was something very different and special about it. She felt unique in the world. As she watched Henry sleeping, her love for him grew. She loved him like both a Mother and a Father, for to her, he was both. He had brought her into this world with a Purpose, a purpose which The Book was only just becoming aware of. By the time Henry awoke the next day, The Book was aware of everything in the room. She’d come to understand that she was a pile of papers sitting on a desk with a typewriter. She’d learned everything that she’d needed to know from reading what was contained inside her pages, and she was feeling more alive with every moment that passed. Henry awoke, walked over to her, and smiled. The Book felt her heart fill with so great a love for Henry that she didn’t think she could hold it all inside of her. She felt like she was glowing. Gently, Henry picked up The Book. She felt a thrill at this, to be touched by the one who had made her Real. There it was. His precious Book. His dream, made real on paper. Henry put The Book inside of a cardboard box and sealed it, looking inside at The Book one last time, looking down at her with the look of pure love a parent gives to their child. The look that says, “I am the one who brought you into this world. I made you out of nothing. I created you. I love you, and you are wonderful.” The book felt Happiness upon seeing Henry’s love for her, and she realized that she Loved Henry too. Henry finally sealed the box and sighed. The Book found it very dark inside the box and was unsure why she had been put there, but she figured that she would understand soon. Henry left his house and walked off down the street, calling the first cab he saw. He told the cabbie to take him to the publishing house, and the cabbie drove on. Inside the box, The Book was still unsure of what was happening, but something inside her told her that it was Something Good. She felt her box bumping around and eventually, it stopped and Henry spoke to someone, saying “Thank you” and paying the cabbie. The Book felt herself being jostled around inside the box. Henry walked into the publishing house and went up the elevator onto the fourth floor, where he was going to deliver his manuscript. Many people said hello to him as he walked and smiled when they saw the package in his hand. Finally, Henry Walden reached the office of his publisher. He entered the room and set the box down on the table. “Hello, Mr. Walden.” Mr. Cook, his publisher, said, giving Henry a genuine and sincere smile. Mr. Cook was a funny little man with a bald head, round belly, and small round glasses. He was wearing a suit and tie, and his blue eyes shone from behind the lenses of his glasses. When you met him, you couldn’t help but smile, as he was one of those people that make you feel good about yourself. Henry looked surprised. Although he knew his book backwards and forwards, he didn’t know the best way to describe it to someone. Mr. Cook nodded and smiled again, appearing truly interested. “Thank you so much.” Henry replied. Mr. Cook was almost like a friend to Henry Walden. Henry couldn’t exactly consider him a friend, as Henry was basically paying for Mr. Cook to care. Still, it seemed like deep down inside of him, Mr. Cook really did care about Henry and his books, and not just the money that could be made from them. Henry didn’t know this, but Mr. Cook knew there was much more value to many things than what could be counted in dimes and dollars. That was why he’d decided to sign Henry Walden onto their publishing company despite the fact that everyone else in the company had warned him against it. Mr. Cook knew that Henry had potential, and he could see in him what no one else could. Henry and Mr. Cook said goodbye to each other, and Mr. Cook called his editor to pick up the book and take it to her office so that the editing could begin. The Book heard Henry walking away, and suddenly she felt a new emotion. Sadness. She felt like trembling, like the whole world was dark and frightening. That was how Sadness felt to her. She knew that she may never see Henry again, and she missed him. Had she ever got to properly thank him for writing her? With these thoughts in mind, she was taken from the room. As this happened, something occurred to her which made her feel a little better. Maybe she already had thanked him. Maybe, the writing process had been enough for him. She had sensed that feeling in Henry. Maybe it was true. She certainly hoped it was. The Book remained in her box for the next two weeks, and time passed slowly. She sat in her box on the editor’s desk for this time as she waited to be Edited, whatever that was. It was dark and lonely inside of the box and The Book read and reread her contents repeatedly to pass the time. In doing so, she discovered many things that were contained in her that she hadn’t realized before, little subtleties that contained great wisdom. By the time the box was opened, she knew herself backwards and forwards, but she still didn’t know what her purpose was. She had learned that her story was one of happiness and sorrow, friendship and loneliness, darkness and light. But what was she supposed to do with this story of hers? What was her Purpose and how would she find it? How would she know once she’d found it? One of the main characters in her book, Lisa, found herself and there was no doubt in her mind when she did that she had. Lisa was happy after that and everything went right and she no longer felt lonely. The Book wondered if it would be the same way for her when she finally made that elusive Discovery.